It’s Friday, which means: IT’S KIRKUS TIME! 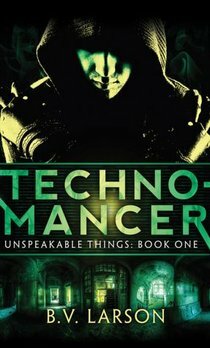 Today at Kirkus, Ana reviews Technomancer by B. V. Larson, a Thriller published by 47North (the new Amazon imprint) that is part CSI: Las Vegas, part The X-Files with a side of Memento. Unfortunately, despite a promising premise it wasn’t very good. Go over to Kirkus to read the full review: A Book Smuggler Reads ‘Technomancer,’ Wishes She Hadn’t. Great review, but it’s a shame that the book couldn’t live up to its premise.